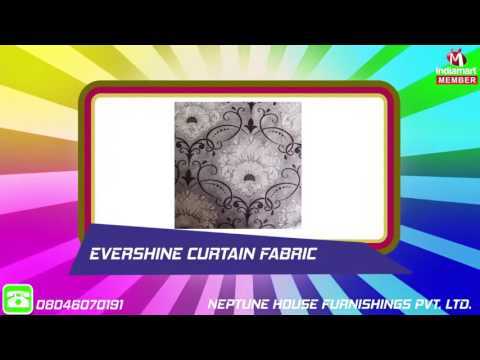 Incepted in the year 1995, in Ahmedabad (Gujarat, India), we %u201CNeptune House Furnishings Private Limited%u201D are the distinguished manufacturer and supplier of supreme grade Curtain Fabric, Made Ups Fabric, Upholstery Fabric, Textures Fabric, Auto Fabric, Furnishing Fabric, Damask Fabric, etc. The offered fabrics are designed by making use of supreme grade thread and yarn under the visionary guidance of trained professionals. Our offered fabrics are widely used for making curtains, home decor, pillow cover and other such items. We offer these fabrics to our clients in different specifications of colors, prints and designs as per their necessities. Moreover, these fabrics are checked for their quality on series of quality parameters before being supplied to our clients. Our offered fabrics are widely appreciated by our clients for their enormous features such as light weight, colorfastness, skin-friendly, smooth texture, fine finishing, shrink resistance, tear resistance and attractive print.